As promised in my previous post, whereas Weekend Warrior Saturdays will entail practical moving tips for your London relocation, Weekend Warrior Sundays will share a tidbit in history on the significant people who have made London what it is today (this is how I’ll run with it for a while, at least :)). To start from antiquity, what those who aren’t yet living here may not realize is that the ancient Romans once settled here. Indeed, let us go back to when Julius Caesar’s army invades England in 55 BC – the Romans land at Kent and journey north until they hit the Thames River at modern-day Southwark. There is only a small tribe living in the area at this time, but when the Romans return nearly a century later, there is a larger settlement there utilizing it as a mercantile port. 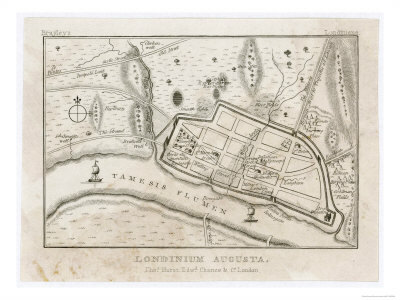 In 43 AD, the Emporor Claudius invades Britain and establishes its capital city on the north bank of the Thames, naming it Londinium. The city prospers to a population of 50,000 by the 3rd century, yet by the 5th century, the Roman Empire has fallen. Londinium is consequently left abandoned to the Saxons. Just a little something to consider as you plan to relocate to the UK – it isn’t all about Shakespeare and Henry VIII in these here parts. England has an ancient history that is still present to the eye, with roads that still follow the paths established by the Romans and outcroppings of ruins here and there – in London, you can see remnants of a Roman wall that delineated the city’s boundary immediately outside Tower Hill tube station and scattered between the city centre’s corporate offices!